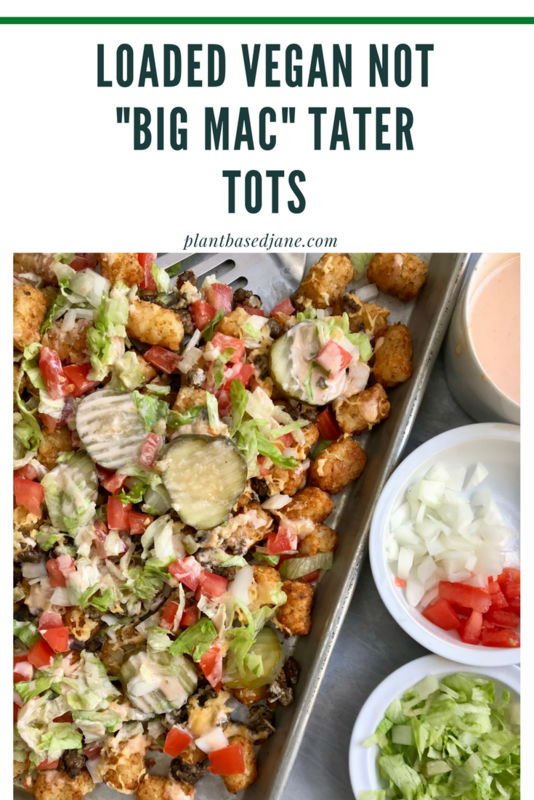 Get Super Bowl ready with these delicious and easy not “Big Mac” loaded tater tots! With the Super Bowl around the corner, I wanted to share this incredibly easy but delicious recipe for you to serve to all your friends/fam! 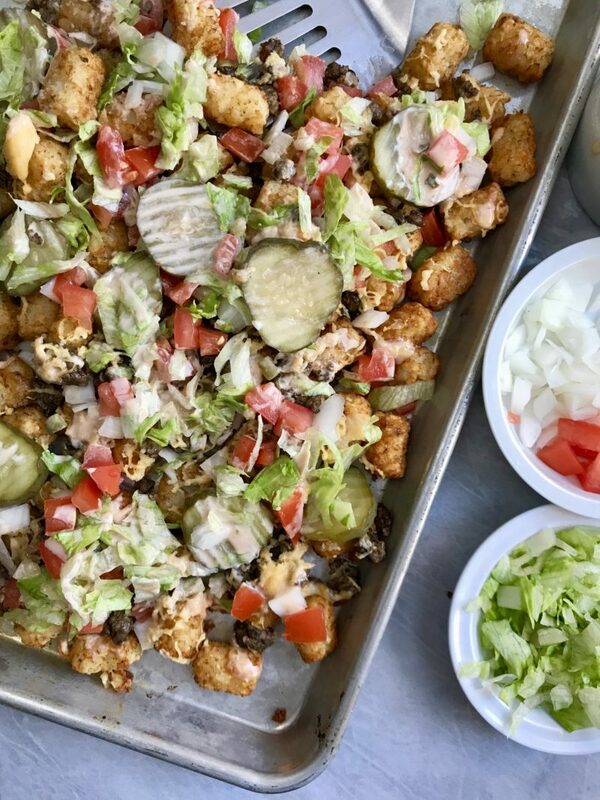 On the day of the Super Bowl you want to serve really creative & delicious meals without sacrificing watching the game or spending time with your loved ones. That is why this recipe is perfect for your game day! Let’s be real here, I don’t watch football. I mean I try, but I can’t get into it for some reason. My boyfriend loves Football so he is there to watch the football & I’m there for the snacks, commercials and the halftime show (so excited its J.T this year!). To me the Super Bowl is more about the experience. I get really nostalgic over certain days or holidays and this is one of them for sure! So I deeply appreciate creating fun meals for this day. Because food is what can really bring people together, so why not make it special? I hope that you enjoy this simple & easy recipe! If you make any of my recipes, don’t forget to tag me @plantbasedjane on Instagram so I can see! Pre-heat your oven to 350 degrees Fahrenheit. Meanwhile, cook your beefy crumbles. Add a tablespoon of oil to a pan and cook your beefy crumbles according to package instructions. Set aside. 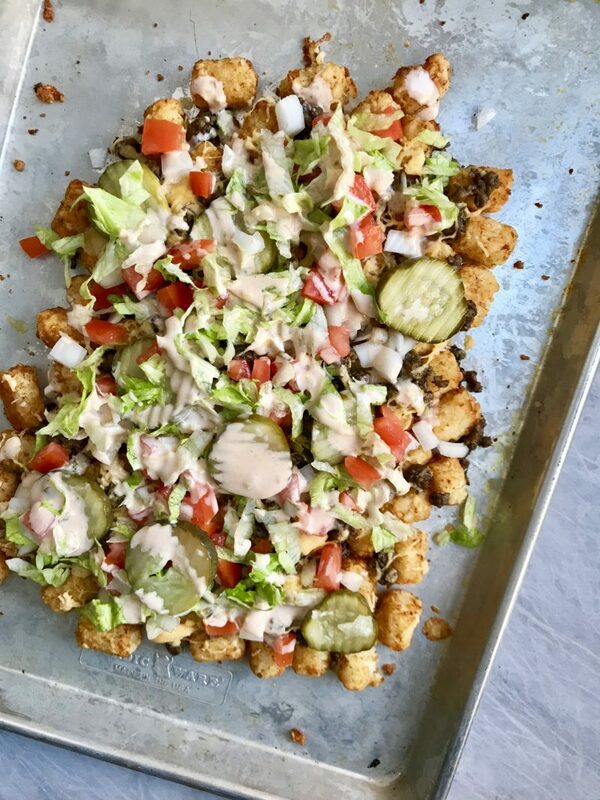 Add your tater tots to a large baking sheet and cook according to package instructions (making sure to flip halfway). Meanwhile, prepare your chopped veggies & make your sauce. 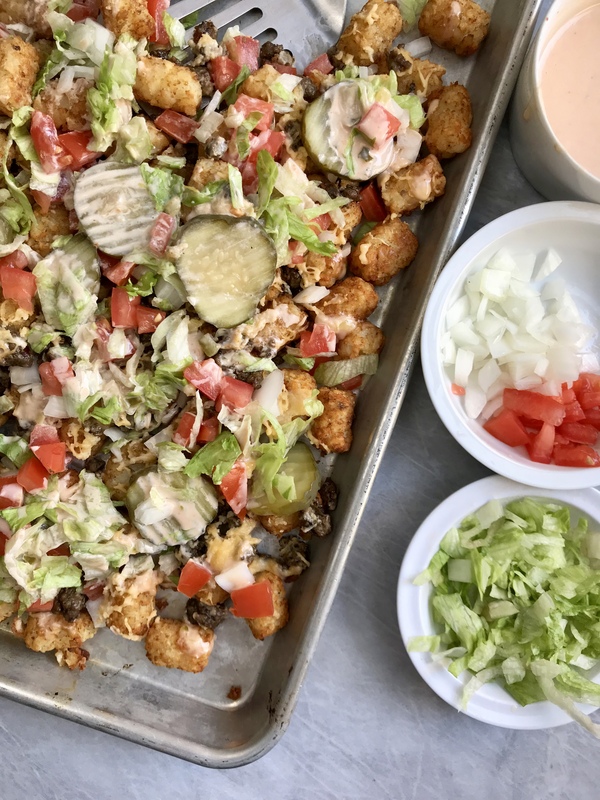 When your tots are cooked, move them closer together and create a rectangular shape. Add your beefy crumbles & vegan cheese and pop back into the oven for 5-7 minutes, or until your vegan cheese has melted. Remove from oven and top with your chopped onions, tomatoes, lettuce and pickles. Top off with your sauce and serve!